Is there any time of the year that’s more special or rings with more sentiments than Christmas? It stands out as iconic since the days of our youth. It’s a time of year that’s separated from the rest. Despite one’s belief, there is always a different feeling in the atmosphere during this time of the year. People seem to be kinder and more patient with one another. Many feel charitable and look at his fellow man with a more compassionate heart during this season. This time of the year; this moment of celebration affects all. 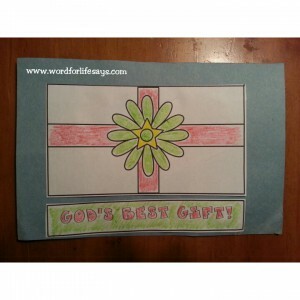 Many are very familiar with the backdrop of this lesson. 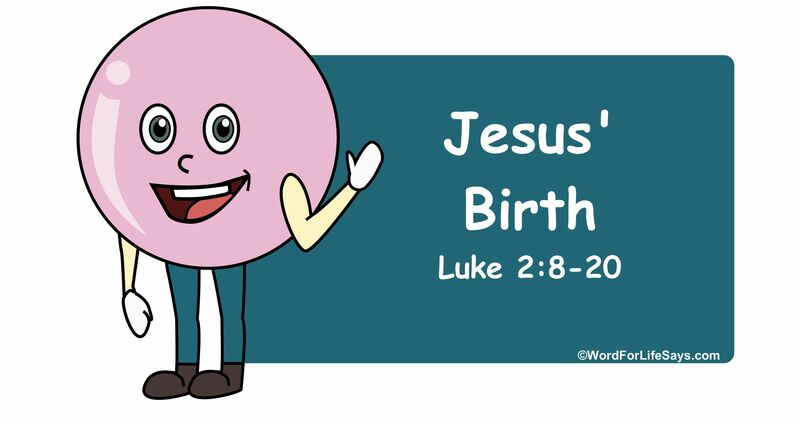 Caesar Augustus had issued a decree for all the world to be taxed (Luke 2:1). From there, families were to report to the place of their lineage to be accounted for. Lineage played a key role in so many aspects of the Bible. Even when it came time to “tax,” people had to line up and file in at the place of their birth or where their family hailed from. One’s bloodline, one’s tribe were factors in their inheritance, land rights and so on. These are matters that those who seek to tax would be greatly interested in. Augustus thought in and of himself that he was responsible for sending families back to their “own city;” back to the place where their ancestors were from. When, in actuality, God was using him to line up everything according to His holy prophecies that were spoken through the years. This is why, though to our eye’s times may seem troubling and hard to understand, yet we never know what God is doing behind the scenes. The people may not understand the need to be forced into travel to undergo taxing, but God was lining them up for their greatest deliverance yet! Joseph and Mary were not exempt and were forced, despite being far along in her pregnancy, to travel the approximately 90-mile journey from Nazareth to Bethlehem to participate in the taxing process. 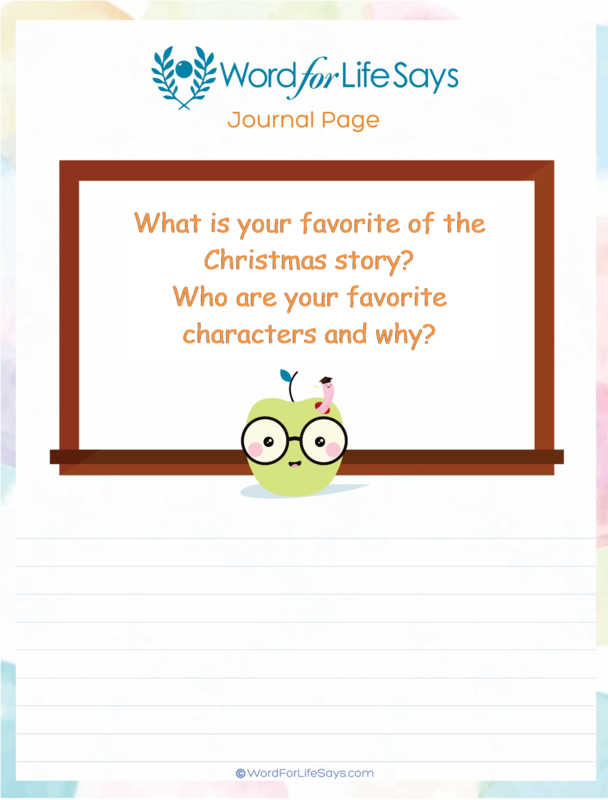 It is here we pick up in today’s lesson where the role of the shepherds came into play. 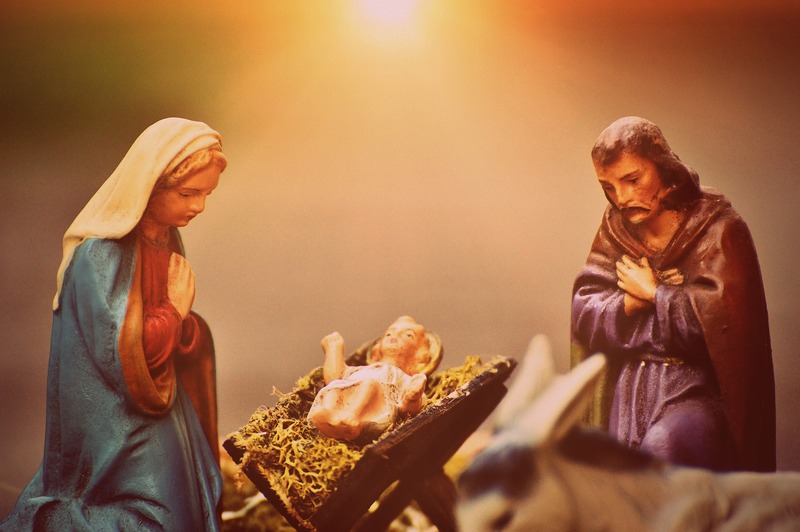 They show us the birth of our Savior, the Lord Jesus Christ, is not just a passing event. Rather, it is a reason to stop and celebrate God and give Him all the glory that is due to His holy name. “Shepherds” were considered some of the lowest of people during the Bible era. Men who spent their time with animals roaming the fields to find pasture for their flocks. Yet, on this night they were the first chosen to hear of this good news. They were elevated above kings to receive the birth announcement of the King of kings. Can you imagine being in that field on that night then suddenly light shining from what seems to nowhere appear with a glorious siting of “the angel of the Lord?” In an era of no electricity, with only the light from the fire they sat around (if they were lucky enough to have one), an illumination of greater proportion appeared and made them “sore afraid.” I think it’s safe to say, if it were me, I would have been just as “afraid” as they were. It’s not an everyday occurrence to see the power of the Lord manifested in the siting of one of His “angels.” Who knows why he was here. “Angels” have been long known as messengers from the Lord and here this one appears with the greatest revelation of all time; one that the “shepherds” are privileged to hear first. In an effort to alleviate any trepidation the shepherds were feeling with encountering God’s angel, he spoke to them words that were meant to bring comfort and assurance. He said, “Fear not” (a greeting that is meant to calm). The appearance of these heavenly messengers can be a little much to take in. When the one angel sat upon the stone that was rolled away from Jesus’ tomb the Bible tells us, “His countenance was like lightning, and his raiment white as snow: And for fear of him the keepers did shake, and became as dead men,” (Matthew 28:3-4). One would need a certain measure of comfort in the presence of these awesome creatures. “Behold, I bring you good tidings of great joy which shall be to all people.” Here, the lowliest of the low; the shepherds that others despise and reject as not being noteworthy, receive the good news that “shall be to all people;” themselves included. “For unto you is born this day in the city of David a Saviour, which is Christ the Lord.” The message is, that long-awaited day has finally arrived! The Jews felt the oppression of enemies for years. They have listened to the prophecies passed down from generation to generation that spoke, “For unto us a child is born, unto us a son is given: and the government shall be upon his shoulder: and his name shall be called Wonderful, Counsellor, The mighty God, The everlasting Father, The Prince of Peace,” (Is. 9:6). He that was spoken of has arrived in this lowly place, to a lowly people, to save them and be their Messiah. The news could not get any better than this. I imagine eyes misting over and a lonely tear streaking down the weather-worn cheek of these men to whom the angel spoke. Oh, the joy of it all on that holy night! As if the appearance of one angel with an awesome message wasn’t enough to seal the deal of belief with these shepherds, “a multitude of the heavenly host” appeared. It was as if heaven could not hold back its rejoicing over the birth of the Savior. Heaven peaked through into the earthly realm and these shepherds got to see them “get their praise on” as we would call it today. They were saying, “Glory to God in the highest!” I don’t think the words do the moment justice. Yes, they were ascribing “glory to God” but I believe there was a tingling in the atmosphere that can’t be replicated with words. I believe there was a charge of elation mixed with the power of God’s presence radiating through these “heavenly host” that can’t be described. A time and place like no other that only these lowly shepherds got to witness on this holy night. Awesome! “And on earth peace.” Sin has destroyed humanity’s “peace” with God. The beloved creature that He formed and placed in the Garden of Eden; that He loved and treasured as His own, was now corrupt and subject to perish without holy intervention. Romans 5:12 tells us, “Wherefore, as by one man sin entered into the world, and death by sin; and so death passed upon all men, for that all have sinned.” Because of that, “peace” and reconciliation needed to be restored. What an awesome revelation both literally and nonliterally! God showed up and showed out and sent His message, the birth announcement of His Son, to a field whose occupants seemed to the rest of the world counted unworthy. With their newfound knowledge, they wasted no time in seeing with their own eyes that which was revealed to them so much so that the Bible tells us “they came with haste.” Excitement propelled them forward and they “found Mary, and Joseph, and the babe” just as it was spoken to them. “All they that heard it wondered at those things which were told them by the shepherds.” The reaction of the people that heard the message of the shepherds was reactions of “wonder.” They were simply amazed and in awe over the shepherds and the message they carried. I believe that this type of “wonder” didn’t have any questioning to it. Rather, they were just completely taken aback over the news and the excitement of the shepherds. How a message is delivered also bears an impact on how the message is received by the hearers and judging by the enthusiasm of these lowly shepherds on that night, many had to be filled with total astonishment. If the news could be believed, then the greatest miracle to ever be imposed on mankind has finally taken place; an extraordinary event like no other. No wonder the shepherds couldn’t help but tell and express all they witnessed on this night. The people had to see and feel that this news was a remarkable and outstanding experience. “But Mary kept all these things, and pondered them in her heart.” A mother’s heart works differently toward her child. She’s the one to whom the angel showed up out of the blue one day and delivered the message that she would carry the Son of God in her own womb. She’s the one who dealt with being ostracized and mistreated by those who thought the worse of her. She’s the one that bore the babe in her womb for nine months dealing with all that comes with it. She’s the one who lay up in a stable, if you will, and pushed forth this new, special life into the world. Now, these shepherds show up and declare the glorious. They show up and pay special attention and respect to her Son. She holds in all in her “heart” and mind. Surely, during this time her mind had to travel back to the day Gabriel approached her and told her, “The Holy Ghost shall come upon thee, and the power of the Highest shall overshadow thee: therefore also that holy thing which shall be born of thee shall be called the Son of God,” (Luke 1:35). Thinking back to then and comparing the scene unfolding before her now must have given her pause to stop and consider all that has transpired (compare Luke 2:51). What must have been going through her mind at the time, one can only imagine. But, there in her “heart,” she held it all. The moments; the memories; the miracle that she has been a part of – there in her “heart,” the wonder of it all rests. “And the shepherds returned, glorifying and praising God for all the things that they had heard and seen, as it was told unto them.” The “shepherds,” who were previously known for their care of the flocks, were now known for their praise. When a miracle occurs on this level one can’t help but let a praise flow from their innermost being. It should be a natural occurrence that when God blesses you to see a manifestation of His promise come to pass, praise should issue forth like an unstoppable river flow. They “heard and seen” some amazing things on this night. Things that many will never ever get to experience; things we can only read about and have faith in – they were eyewitnesses to it all! They, with their own eyes and ears, physically saw our Lord Jesus Christ as a babe lying in a manger. How AWESOME is that?! The revelation given to them of the angel assured them that this was no ordinary babe. The King of all heaven and earth lay before them. They can’t keep that praise in! They glorify God! God is worthy! They didn’t “return” the same way they left. What they witnessed was too extraordinary to go back to life as usual. They now had a praise that would not stop; one that had to be expressed to the fullest that God get the glory He deserves over this magnificent event. Hallelujah!!! 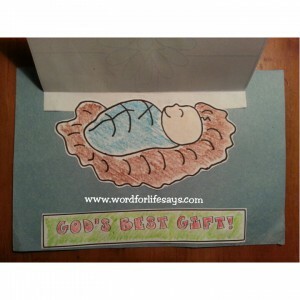 Baby Jesus Best Gift Craft: BABY JESUS GIFT CRAFT_2 (This craft will remind students of God’s best gift He gave us in Jesus Christ. Enjoy!) – Use this PDF link for accurate printing. 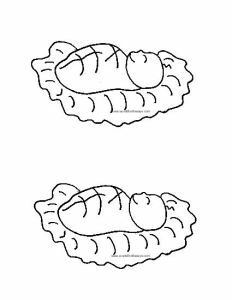 Simply print out, color, and cut. Cut construction paper in half. 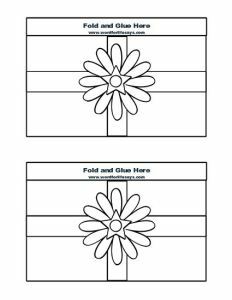 Glue tab for gift box and attach. Next, glue baby Jesus under the gift box and close. 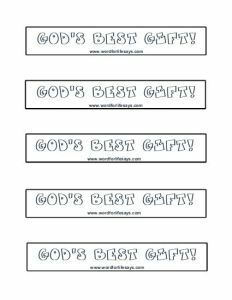 Last, attach the “God’s Best Gift!” label with glue. And, there you have it. 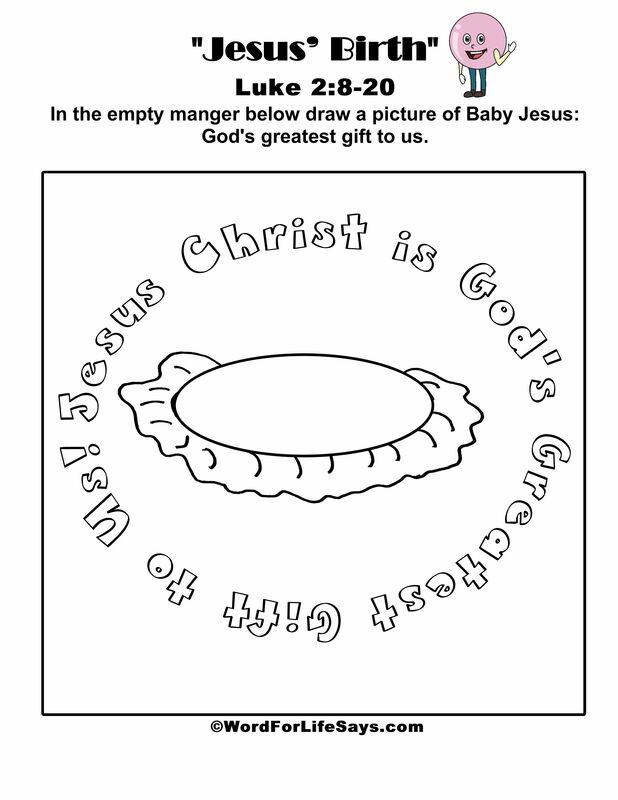 When students open the “gift box” they can view God’s best gift: Jesus Christ. Cute Nativity Scenes: Each one was chosen for their uniqueness. Browse through and find one suitable to your needs. Enjoy!